The Volkswagen Golf MkIV was sold from 1999-2006 around the world, but it wasn't until the 2004 R32 edition that a true performance version was born. The R32 took most of its components from the 3.2 liter Audi TT, including engine, transmission and suspension, but it maintains the Golf level of useability and is practically depreciation proof. 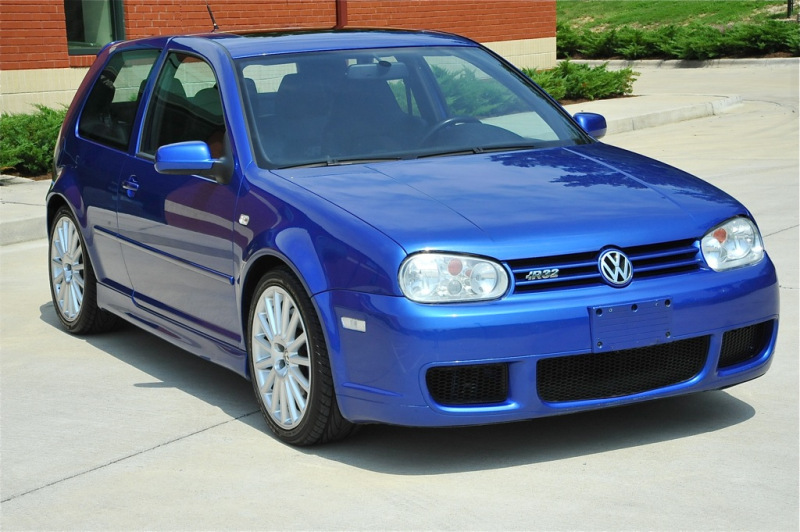 Find this 2004 Volkswagen Golf R32 for sale in Richmond, VA currently bidding on ebay for $13,700 with 1 day to go via eBay. The Golf R32 was only available for one year in the MkIV generation in the USA and it was only available with a 6-speed manual gearbox and 3.2 liter VR6 engine. 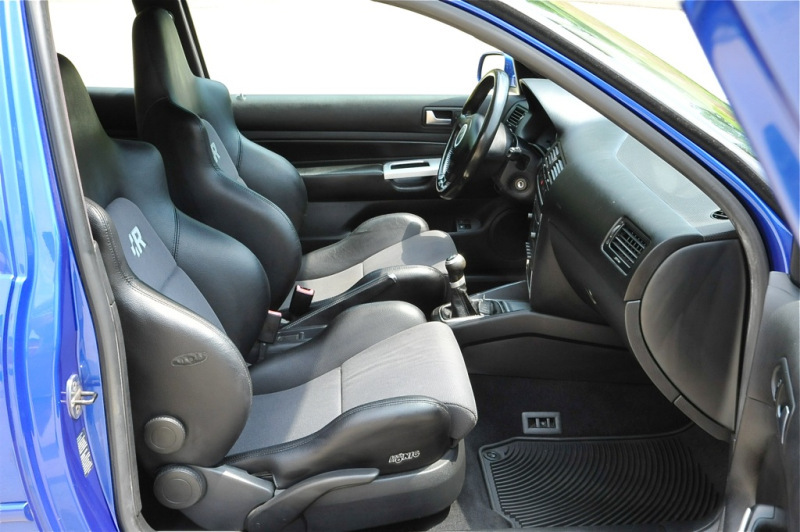 Blue seems to have been the most popular color but the R32 was also available in black, silver and red. The R32 is powered by a 3.2 liter VR6 engine that makes 240 horsepower and 237 ft-lbs of torque mated to a 6-speed manual and Haldex Traction based 4Motion all-wheel-drive system. Performance of the R32 at 0-60mph in 6.5 seconds wasn't on par with a contemporary STi or Evo, but it was certainly quick compared to most family hatchbacks. This R32 looks in the photos to be a good clean stock example of the 5000 MkIV R32s sold and good ones are getting harder to find. This is why I love VW soooo much. An anonymous exec told one of the big rags regarding the new R, "...(Volkswagen) could do a limited-run poops (sic) in a jar and they'd (meaning YOU and ME) buy it." Nice. Really nice.